Monday, Sept. 17, 10 a.m. MDT, Belle Fourche – Gov. Dennis Daugaard will speak at the dedication of the Belle Fourche School District Career and Technical Education Center in Belle Fourche. Wednesday, Sept. 19, 4 p.m. CDT, Sioux Falls – Gov. Dennis Daugaard will speak at the ribbon cutting for the completion of the Copper Pass Apartments, located at 3630 S. Sparta Ave.
Tuesday, Sept. 18, 5:30 p.m. CDT, Mitchell – Lt. Governor Matt Michels will give remarks at Mitchell Technical Institute’s 50 year celebration on the campus of Mitchell Technical Institute. Wednesday, Sept. 19, 7:30 p.m. MDT, Spearfish – First Lady Daugaard will be speaking at the Black Hills State University Presidential Lecture Series. In addition to meeting with students and faculty members, BHSU will host Mrs. Daugaard for a public presentation Wednesday, Sept. 19. The reception begins at 7 p.m. followed by the presentation at 7:30 p.m. in Meier Recital Hall on the BHSU campus in Spearfish. A limited number of free tickets are available by emailing Tickets@BHSU.edu. Monday, Sept. 17, 7 a.m. CDT, Pierre - The State Conservation Commission will be holding a meeting at the Ramkota River Centre. A full agenda can be found https://boardsandcommissions.sd.gov/bcuploads/Conservation%20Commission%20Meeting%20Agenda%20September%2017,%202018.pdf. For more information, please contact the council at 605-773-3623. 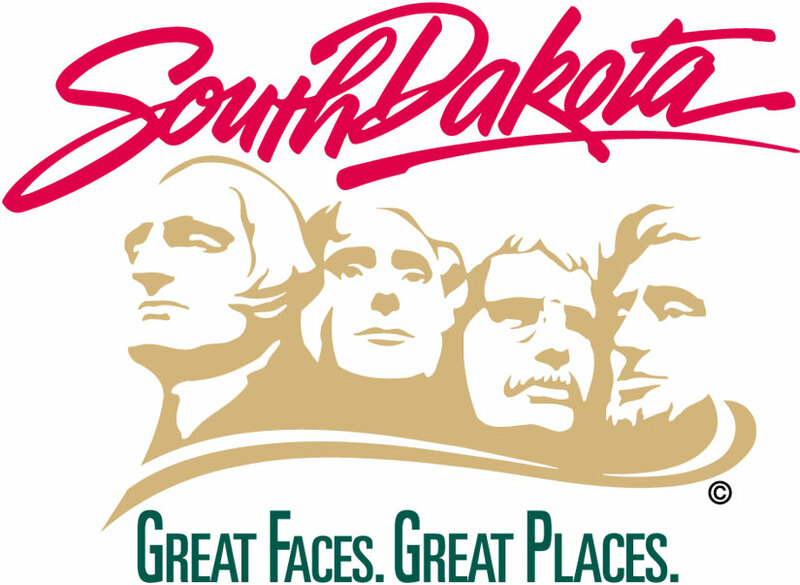 Monday, Sept. 17, 9 a.m. CDT, Aberdeen – The South Dakota Board of Education Standards will meet at the Holgate Middle School Theater, located at 2200 N. Dakota St. A proposed agenda that includes a call-in number and access code is posted at http://boardsandcommissions.sd.gov/Meetings.aspx?BoardID=32. The meeting will also be livestreamed at http://www.sd.net/remote2/. Monday, Sept. 17, 9 a.m. MDT, Rapid City – The South Dakota Board of Massage Therapy will be holding a board meeting in the Dakota Lecture Hall at Western Dakota Tech, located at 800 Mickelson Drive. For more information or to view the agenda, visit https://boardsandcommissions.sd.gov/Meetings.aspx?BoardID=64. Tuesday, Sept. 18, 8:30 a.m. CDT, Pierre – The South Dakota Special Education Advisory Panel will meet in Conference Room 5 on second floor of the MacKay Building, located at 800 Governors Drive. An agenda is posted at http://boardsandcommissions.sd.gov/Meetings.aspx?BoardID=16. Tuesday, Sept. 18, 8:30 a.m. – 2:30p.m. CDT, Watertown – The Statewide Independent Living Council will hold its quarterly meeting at the Best Western Ramkota Inn in Watertown. For more information, contact Eric Weiss at 605-773-3195. Wednesday, Sept. 19, 11 a.m. CDT, Pierre – The Railroad Board of the South Dakota Department of Transportation will hold a meeting in the Commission Room of the Becker-Hansen building, located at 700 E. Broadway Ave. The public is invited to attend. To view the meeting agenda, posted 72 hours in advance, visit http://boardsandcommissions.sd.gov/Template.aspx?id=88. For more information, call 605-773-3265. Wednesday, Sept. 19, 11 a.m. – 1 p.m. MDT, Spearfish – The Department of Social Services’ Board of Social Work Examiners will hold a teleconference board meeting at 625 Main St. and at Family Service Inc., 2210 W. Brown Place in Sioux Falls. For more information and to view the agenda, visit http://boardsandcommissions.sd.gov/Meetings.aspx?BoardID=91. 9 a.m. MDT – Visit Black Hills Beauty College, 623 Saint Joseph St.
Meeting materials can be found at https://boardsandcommissions.sd.gov/Meetings.aspx?BoardID=84. For questions, please contact Kate Boyd at 605-773-6193. Thursday, Sept. 20, 10 a.m. CDT, Pierre – DENR’s Board of Minerals and Environment will meet via telephone conference call in the Floyd L. Matthew Environmental Education and Training Center in the Joe Foss Building, located at 523 E. Capitol Ave. Agenda items are available through the Boards & Commission Portal at http://boardsandcommissions.sd.gov/Meetings.aspx?Boardid=67. For more information, contact Brenda Binegar, DENR, at 605-773-4216. Thursday, Sept. 20, 10 a.m. CDT – The 9-1-1 Coordination Board will meet via teleconference. A draft agenda is listed at https://boardsandcommissions.sd.gov/bcuploads/9-20-18%20Board%20Mtg%20DRAFT%20Agenda.pdf. For more information, contact Shawnie Rechtenbaugh at 605-773-8145. Thursday, Sept. 20, 3 p.m. CDT – The South Dakota Board of Funeral Service will meet via teleconference. For more information, including public access information, visit https://boardsandcommissions.sd.gov/Meetings.aspx?BoardID=43. Friday, Sept. 21, 9 – 11 a.m. CDT, Pierre – The Department of Social Services’ Counselors and Marriage and Family Therapists Board of Examiners will hold a conference call. For call-in information and to view the agenda please visit http://boardsandcommissions.sd.gov/Meetings.aspx?BoardID=22. Monday, Sept. 17, to Thursday, Sept. 20 – Bring Your ‘A’ Game to Work encompasses seven different skills including Appreciation, Attitude, Attendance, Appearance, Ambition, Accountability and Acceptance. These soft skills and a willingness to take direction are generally more desired by employers than the specific skills a particular job requires. Bring Your ‘A’ Game is being offered at no cost to businesses and individuals. For more information or to register online, visit http://dlr.sd.gov/workforce_services/individuals/training_opportunities/soft_skills_training.aspx. Monday, Sept. 17, 9 a.m. – 2:30 p.m. CDT, Sioux Falls – at 811 E. 10th St. Registration required. Any class without four people registered by the previous Friday will be canceled. For more information or to register, call 605-367-5300. You may also register online at the link above. Thursday, Sept. 20, 9 a.m. – 4 p.m. CDT, Mitchell – at Cornerstones Career Learning Center, 1315 N. Main St. Please register in advance for the class. For more information or to register, please call 605-995-8927. You may also register online at the link above. Thursday, Sept. 20, 10 a.m. – 3 p.m. CDT, Vermillion – at the Vermillion Job Service, 904 E. Cherry St. For more information or to register, please call 605-677-6912 or register online at the link above. Monday, Sept. 17, through Thursday, Sept. 20, 8:30 a.m. – 12 p.m. and 1 – 3 p.m. CDT, Sioux Falls – Smithfield will conduct walk-in interviews at the Sioux Falls Job Service, 811 E. 10th St. Positions include productions workers. For more information, call 605-367-5300 or visit www.sdjobs.org. Tuesday, September 18 – Benefits specialists from the Department of Social Services' Division of Economic Assistance will be available at the following itinerant office locations. For more information, contact Tia Kafka, 605-773-3165. Monday, Sept. 17 to Thursday, Sept. 20: The South Dakota Department of Veterans Affairs Field Service Officers will be at the following County and Tribal Veterans Service Offices to assist with veteran related claims, issues, and questions. Tuesday, Sept. 18, 10 – 11 a.m. CDT – The South Dakota Retailers Association and the Department of Labor and Regulation are co-sponsoring the “How to Find and Use Bureau of Labor Statistics (BLS) Webinar.” A BLS economist will provide insight on the Consumer Price Index (CPI) and how the numbers are generated, consumer expenditures, wages by occupation, employment projections, and the Producer Price Index. Register for the webinar at https://register.gotowebinar.com/register/3084140401411320578. Tuesday, Sept. 18, 11 a.m. – 1 p.m. CDT, Sioux Falls – Sanford Health will be conducting an employer information session at Sioux Falls Job Service, 811 E. 10th St. Positions are available for environmental service technicians, food service assistants and nursing assistants. For more information, call 605-367-5300 or visit www.sdjobs.org. Tuesday, Sept. 18, 3 – 5 p.m. CDT, Yankton – Walmart will hold a Job Fair at 3001 Broadway. Multiple positions available. DLR Yankton Job Service can help you prepare. For more information, call 605-668-2900 or visit www.sdjobs.org. Tuesday, Sept. 18, 9 a.m. – 4 p.m. MDT, Rapid City – at 2330 N. Maple Ave. For more information, call 605-394-2296 or visit www.sdjobs.org. Wednesday, Sept. 19, 9:30 a.m. – 3 p.m. CDT, Sisseton – at 10 E. Hickory St., Suite 3. For more information, call 605-698-3964 or visit www.sdjobs.org. Wednesday, Sept. 19, 9 a.m. – 3 p.m. MDT, Spearfish – at 1300 North Ave. For more information, call 605-642-6900 or visit www.sdjobs.org. Thursday, Sept. 20, 9 a.m. – 4 p.m. CDT, Vermillion – 904 E. Cherry St. A presentation on financial health will be offered by the Wells Fargo at Work Program as part of JSAP. To register, please call 605-677-6900. For more information, please call or visit www.sdjobs.org. Wednesday, Sept. 19, 9 a.m. – 3 p.m. CDT, Lake Andes – at 51 S. 3rd Ave. For more information, call 605-487-7607, ext. 207 or 212 or visit www.sdjobs.org. Thursday, Sept. 20, 8:30 a.m. – 12:30 p.m. CDT, Brookings – at 1310 Main Ave. S., Suite 103. To register, call 605-688-4350. For more information, please call or visit www.sdjobs.org. Tuesday, Sept. 18, 8:30 – 11:30 a.m. MDT, Rapid City – at Western Dakota Technical Institute, Lewis & Clark Hall, Room L212. For more information on programs and services, call Kevin Dary, Lynette Engle or Melanie Garstenschlager at 605-718-2956 during these office hours. Additional information available at www.sdjobs.org. Wednesday, Sept. 19, 12 – 3 p.m. CDT, Mobridge – at the Mobridge Economic Development Office, 205 2nd St. E., Suite 1, or call 605-380-8930 during these hours and 605-626-2340 at any other time. Additional information at www.sdjobs.org. Thursday, Sept. 20, 1 – 4 p.m. MDT, Rapid City – at Western Dakota Technical Institute, Lewis & Clark Hall, Room L212. For more information on programs and services, call Kevin Dary, Lynette Engle or Melanie Garstenschlager at 605-718-2956 during these office hours. Additional information available at www.sdjobs.org. Tuesday, Sept. 18, 8:30 a.m. – 5 p.m. CDT, Wagner – at the Bureau of Indian Affairs, 29775 Main Ave. For more information, call 605-487-7607, ext. 207 or 212, or visit www.sdjobs.org. Wednesday, Sept. 19 – Benefits specialists from the Department of Social Services' Division of Economic Assistance will be available at the following itinerant office locations. For more information, contact Tia Kafka, 605-773-3165. Wednesday, Sept. 19, 8:30 a.m. – 4:30 p.m. CDT, Yankton – General Education Development (GED) testing will take place at Yankton Job Service, 3113 Spruce St., Suite 124. For more information, call 605-668-2900 or visit www.GED.com. Wednesday, Sept. 20, 9 a.m. – 4:30 p.m. CDT, Yankton – General Education Development (GED) testing will take place at Yankton Job Service, 3113 Spruce St., Suite 124. For more information, call 605-668-2900 or visit www.GED.com. Thursday, Sept. 20 – Benefits specialists from the Department of Social Services' Division of Economic Assistance will be available at the following itinerant office locations. For more information, contact Tia Kafka, 605-773-3165. Thursday, Sept. 20, 1 – 5 p.m. CDT, Yankton – South Dakota Human Services Center will hold walk-in interviews at the Yankton Job Service, 3113 Spruce St., Suite 124. Positions available include CNAs, and custodial crew leaders. For more information, call 605-668-2900. Friday, Sept. 21, 8:30 a.m. MDT, Rapid City –The Board of Technical Professions will hold a regular meeting at the Board office, 2525 W. Main St., Suite 211. Meeting agenda and materials may be viewed at http://boardsandcommissions.sd.gov/Meetings.aspx?BoardID=37. If you have questions, contact Kathryn Patterson at 605-394-2510. Friday, Sept. 21, 10 a.m. MDT, Rapid City –The Board of Technical Professions will hold a public hearing to consider the adoption and amendment of rules at the Board office, 2525 W. Main St., Suite 211. Copies of the proposed rules may be obtained by contacting Kathryn Patterson at 605-394-2510.